The Thames has a length of 346 km (215 miles). Its source is about a mile north of the village of Kemble, near Cirencester in the Cotswolds; it then flows through Lechlade, Oxford (where it is called the Isis, a truncation of Tamesis, its Latin name), Abingdon, Wallingford, Reading, Henley-on-Thames, Marlow, Maidenhead, Windsor, Eton, Staines and Weybridge, before entering the Greater London area. From the outskirts of Greater London, the river passes Syon House, Hampton Court, Kingston, Richmond (with the famous view of the Thames from Richmond Hill) and Kew before flowing through central London. 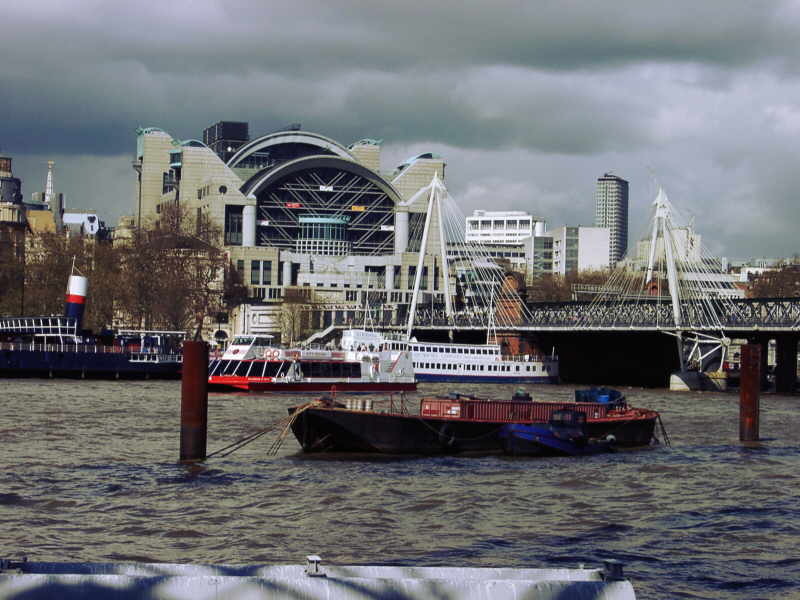 In central London, the river forms one of the principal axes of the city, from the Palace of Westminster to the Tower of London. Once clear of central London, the river passes Greenwich and Dartford before entering the sea in a drowned estuary near Southend-on-Sea. In terms of counties, the Thames rises in Gloucestershire, traditionally forming the county boundary, firstly between Gloucestershire and Wiltshire, between Berkshire on the south bank and Oxfordshire on the north, between Berkshire and Buckinghamshire, between Berkshire and Surrey, between Surrey and Middlesex, and between Essex and Kent. Before the 1974 boundary changes, the current boundary between Berkshire and Surrey was between Buckinghamshire and Surrey. The area to the west of London is normally called the Thames Valley, whilst east of Tower Bridge development agencies and Ministers have taken to using the term Thames Gateway. Modified extract from Wikipedia.org - All links above are to the Wikipedia website.